The Center for Child Care Career Development (CCCCD) has been designated by the South Carolina Department of Social Services (DSS) to maintain a training registry for all DSS child care training hours. Child care providers working in regulated programs must have documented contact hours to meet licensing regulations. The Center for Child Care Career Development is a part of the South Carolina DSS Division of Early Care and Education. Trainers, will participants in your training remember a new idea or skill after one experience with it? You “taught it” but did they “get it?” The fact is that most adults won’t remember a new concept by being exposed to it only once. The human brain needs repeated interaction with a new idea in order to store it in long term memory. Help your participants move ideas from short term memory to long term memory by using the “6 Times, 6 Ways” formula in each training you conduct. Active learning expert, Sharon Bowman has presented the “6 Times 6 Ways” idea at Train the Trainer events hosted by the Center for Child Care Career Development. The concept of “6 Times 6 Ways” is simple. If you want to make sure that the majority of the participants will remember an idea after they leave a training, make sure that the participants learn the material six times and in six different ways. So, at this point, you might be thinking or saying, . . .
At first glance, “6 Times 6 Ways” sounds like a lot of work. Also the “6 x 6” idea contradicts the traditional training style that most trainers have been taught to use. You may be skeptical, but read on to discover more about this idea and get examples of how you can put “6 x 6” into practice. Ms. Trainer is planning a two hour training about integrating natural items into dramatic play centers for preschoolers. Her main learning objective is “Participants will draw a plan for a dramatic play center that . . .
Before Ms. Trainer writes her training outlines, she writes a list of active learning strategies – ideas that will help the participants engage with the learning topic. Participants can . . . In small groups, write a list of the benefits of using natural items in dramatic play centers followed by a list of possible issues/problems that may arise. 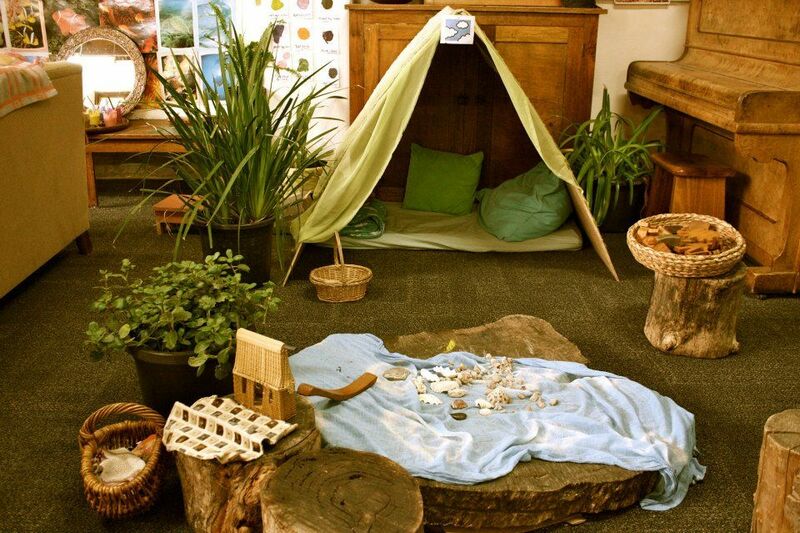 View photo slides of dramatic play centers that use a variety of natural items and identify appropriate ways that children might use the natural materials. Pair with a partner and brainstorm lists of natural items that support a theme such as fall, beach, flowers, evergreens, etc. using a graphic organizer/mind map. Draw a plan of a dramatic play center that includes the specifics in the learning objective. Also reflect on the plan drawing and write 3 benefits of the plan. Analyze the drawing and list potential behavioral conflicts that may arise (such as children may make too much of a mess and not clean it up.) Swap drawings with a partner and share A and B with the partner about their plan. Create three ways to plan for and deal with the conflicts that may arise regarding the floor play and interactions. If Ms. Trainer didn’t know about “6 Times, 6 Ways” she might have prepared a lecture and a visual slides in which she simply shared lots of ideas and examples. Lecture and slides have been the accepted way to “train” adults for many years. Brain research from the past few decades has informed the training industry that the brain requires multiple experiences to recall concepts. Ms. Trainer created many ways for the participants in her training to learn about using natural items in dramatic play centers. Which way of teaching better prepares a classroom teacher for adding natural items to a dramatic play center? A traditional lecture and power point approach or the “6 Times 6 Ways” approach? In the traditional PowerPoint lecture style, learners only get to listen and see photos. In Ms. Trainer’s “6 Times 6 Ways” approach, the learners get to write, draw, discuss, evaluate the plans of others and plan ahead for potential conflicts. Interested in Training about Natural Items in the Dramatic Play Area?